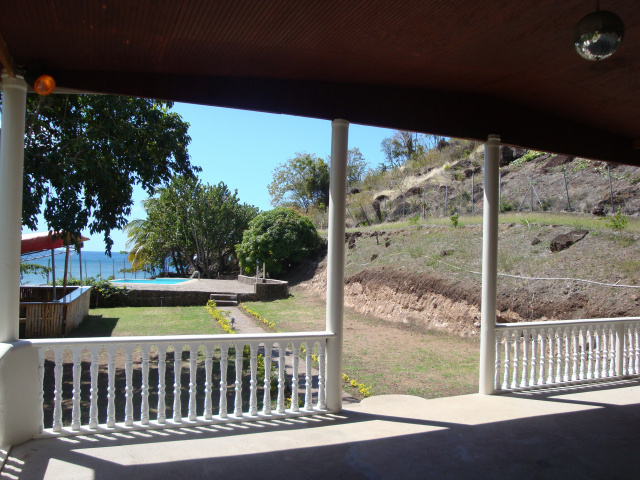 Vacation rentals in Dominica, beachfront home for rent in Dominica. 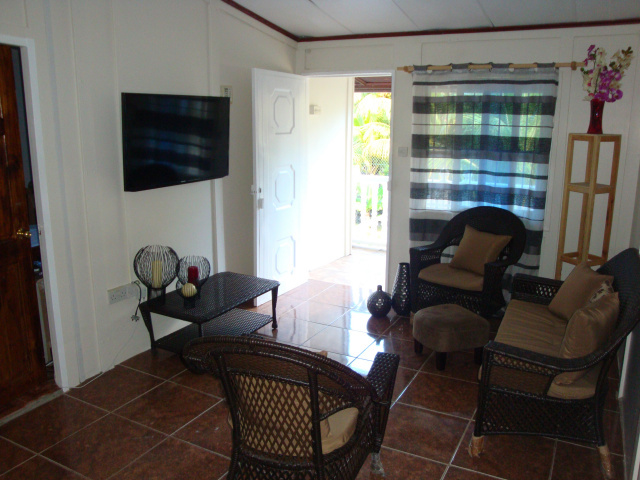 Beachfront 3 bedroom 2 bath cottage with private pool that "OFFERS IT ALL" for vacation rental in Dominica. 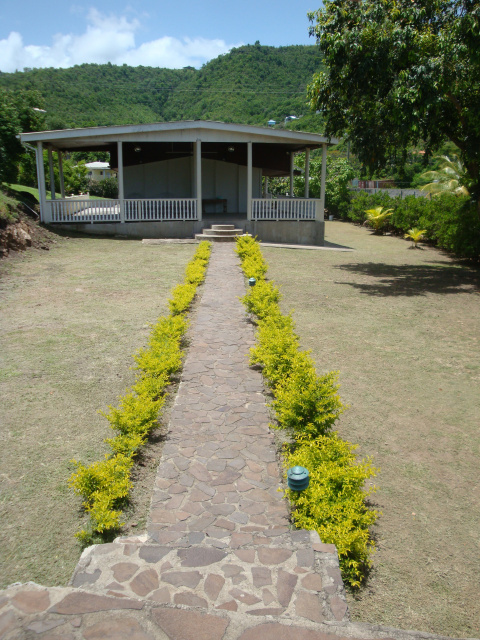 This cottage sits on one of the most popular beaches on the island and occupies very spacious grounds laden with numerous fruit trees to feast on: mango, cherry, wax apple, carambola, guava, etc. This is the IDEAL spot for the visitor. 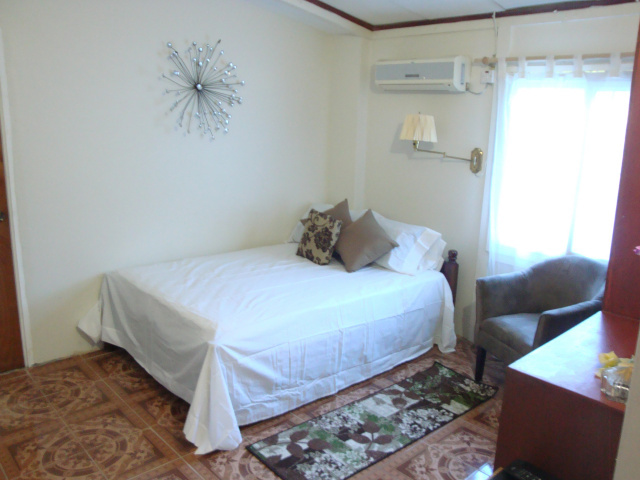 Amenities include large swimming pool, jacuzzi in ensuite bath of master bedroom, hot/cold water, washer, dryer, microwave, cable tv, wireless internet, etc. "SORRY, NOT AVAILABLE FOR BOOKING AT THIS TIME"
50% deposit is required to reserve this exceptional vacation home. Balance is due on arrival. Deposits will be returned only if cancelled at least 60 days prior to arrival. However, any refund will be subject to a 10% service fee. This beautiful cottage is in the PERFECT setting for the visitor. The cottage is located just 25 minutes from the capital city, Roseau, 25 minutes from Ross University in Picard and 50 minutes from the Melville Hall airport. Brand new ensuite bath complete with both jacuzzi and shower. This vacation rental sits on an acre of land laden with fruit trees. ONCE YOU STEP FOOT ON THIS COMPOUND, YOU'LL BE BACK AGAIN AND AGAIN.